Most people need to adjust their divorce orders at least once every four years, largely because job changes are so frequent. In fact, most people go through about a dozen job changes during their adult lives. Since almost all these changes involve a salary adjustment, it’s often necessary to adjust child and spousal support orders accordingly. Moreover, many job changes involve either an upgrade or downsizing in terms of living arrangements. So, these changes often affect parenting time provisions as well. It is impossible to make child support payments unmodifiable, and almost impossible to waive child support. At the time of divorce, the judge sets the amount based on the income of both parents and the parenting time split. Therefore, this obligation can be modified if either of these two things change. Income: If the proposed new child support payment would be 15 percent or $50 more or less than the current payment, the requesting parent can file a Supplemental Petition to Modify. 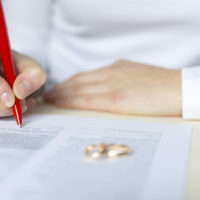 Procedurally, a supplemental petition is similar to an original divorce case. Parenting Time: Generally, the initial child support obligation assumes that the children will spend 265 nights a year with one parent and 100 nights a year with the other parent. If the actual split is different, a child support adjustment may be in order. In some cases, expense changes may also justify a Florida child support modification. For example, one parent may ask for an increase based on daycare cost or a reduction based on the fact that the children are now in school. These arrangements must always be in the best interests of the children, and it may not be in the children’s best interests to spend time in a high-crime area or to race across town and back on weeknights. Furthermore, Port St. Lucie employment changes can directly affect parenting time. A new job might mean additional overtime or a schedule change, and if one parent leaves the children with a babysitter for much of the possession period, an adjustment might be in order. Spousal support modification combines both the aforementioned elements, because a spouse can base such an action on either changed income or changed circumstances. As with child support changes, income-based alimony modifications must be made in good faith. An obligor cannot change jobs, or quit a job, solely to avoid paying family support. The 15 percent rule technically does not apply in Port St. Lucie spousal support modification actions, but judges will probably not change the obligation unless it is in that general range. Changed circumstances can be tricky as well. Most alimony obligations terminate when the obligee remarries, but many people cohabitate rather than marry. If that’s the case, the judge will examine the nature of the relationship to determine if it is more like a marriage or more like a dating situation. Divorce orders should reflect the family’s current situation. For a free consultation with an experienced family law attorney in Port St. Lucie, contact Eighmie Law Firm, P.A. Convenient payment plans are available.